You know how sometimes you are walking down the street and you see a pack of micos everywhere? Especially when someone has bananas or some other fruit that is about to go bad and they sit it out for the monkeys instead of throwing it away. 1st Someone leaves some fruit out and a few monkeys come down from the trees to devour it. 3rd Before you know it like 20 of these little guys show up to join the feast! We have had some fruit bandits before in the past. I set out a mango that wasn't even ripe and they gobbled it up. Micos are gangster! The seed was still spinning in the air. According to Wikipedia, "Brazil has the largest mammal diversity in the world, with more than 600 described species and, probably, many yet to be discovered... Mico is a genus of New World monkeys of the family Callitrichidae, the family containing marmosets and tamarins." I was looking up Brazil wildlife online to see what the experts at Wikipedia had to say about monkeys in Brazil, particular these little guys that we see all the time. They didn't list any mico species as having their habitat in the state of Bahia but obviously noone has informed these monkeys. They can be found all over the place, pretty much anywhere you find trees, you will find monkeys. I remember the 1st time we visited the zoo there were more monkeys out rooming freely in the area around the zoo than there were inside the zoo exhibit. These guys run the airwaves too. You can pretty much assume that they are overhead watching you if there are any trees nearby. They use the telephone wires and electric wires to travel throughout the city. I realized this one day when I looked up and saw one monkey in a tree. I took a closer look and realized there was at least 7 in that tree. After that I noticed them everywhere. They were in all the trees and walking along the wires overhead. It was crazy. I never noticed them like that before. Sometimes I might see one or two but they were and always are all over the place. 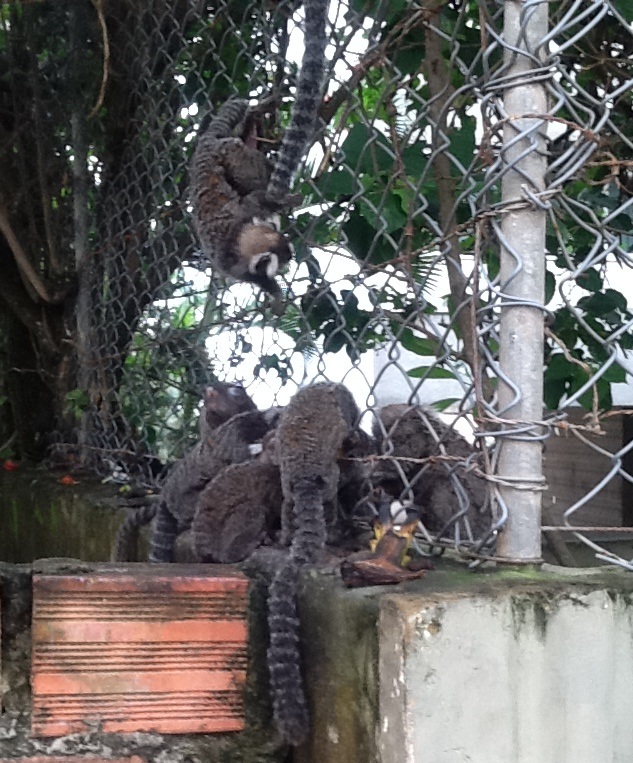 Hope you enjoy that short video of the urban wildlife here is Bahia. 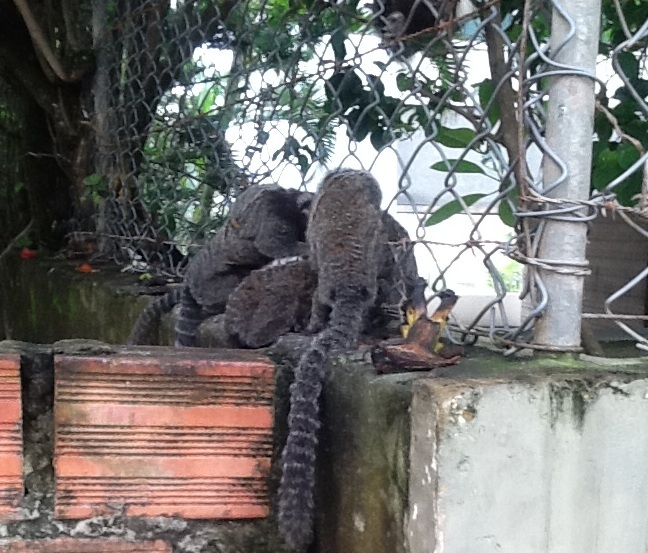 Micos are one of several types of macocos (monkeys) found in Brazil. You can even buy them (ahem, illegally) on the street in some feiras (markets).